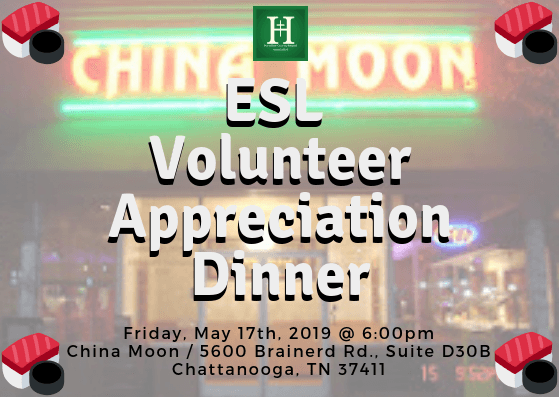 Our association invites you, your teachers, volunteers, and church staff to come to our ESL Appreciation Dinner on Friday, May 11 at 6pm at China Moon. Please pass this information along to them and encourage them to join us! We’re excited to celebrate a wonderful year of Hamilton County ESL! We must have RSVP’s by May 13. Each person is allowed one guest in which the association will pay for their meal.